A group of Darlington and District Methodist ministers of have been considering ‘holiness and justice’, the current theme for this year’s president and vice president of the Methodist Conference, during their stay with us this week. 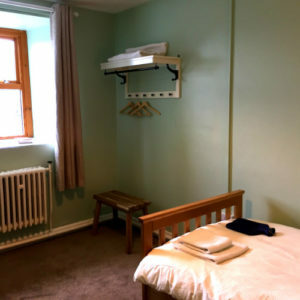 Regular visitors among them have been delighted with the upgrade to the facilities, with special mention of the lovely new mattresses and appreciation of the ingenious space saving devices like the wall mounted folding tables and the simple hanging racks which replace the old wardrobes. 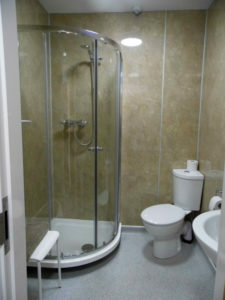 The new shower cubicles met with approval too. “A great improvement from the days of the old plastic curtains! We must put the word around to people who might not have been back since they were installed,” said one. “There’s lots of space and plenty of privacy,” commented another. Minsteracres itself seems to push all the right buttons for many. 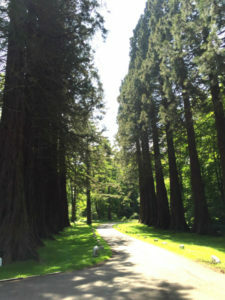 “There’s something about coming off the A68 and seeing the redwoods which talks of continuity and strength,” said one participant. Another had recently moved back to live in Corbridge and brought her husband up to the recent open house event. She agreed, “It lifted my husband’s hart to see the redwoods – he’d lived in Canada for five years and seen them there,” she said.